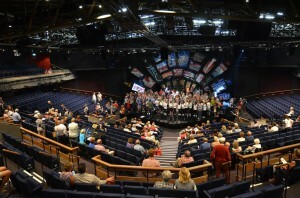 The audience did indeed respond to these ‘exciting new instruments’ and left their television sets behind to find out what this new kind of theatre in Chichester had to offer. 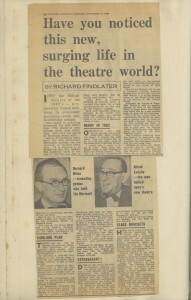 It’s an enthusiasm that has stood the test of time, as over fifty years later visitors to the theatre are just as keen to find out more. At our recent Open Day, over 4,000 people came to explore the Festival Theatre, as we offered total access to normally private backstage areas including the scene dock, wardrobe, wigs and dressing rooms, with a theatre professional in each area to explain their work. Visitors also participated in singing, make-up and concrete making workshops and attended talks, events and live performances throughout the site, leaving those television sets resolutely switched off at home. 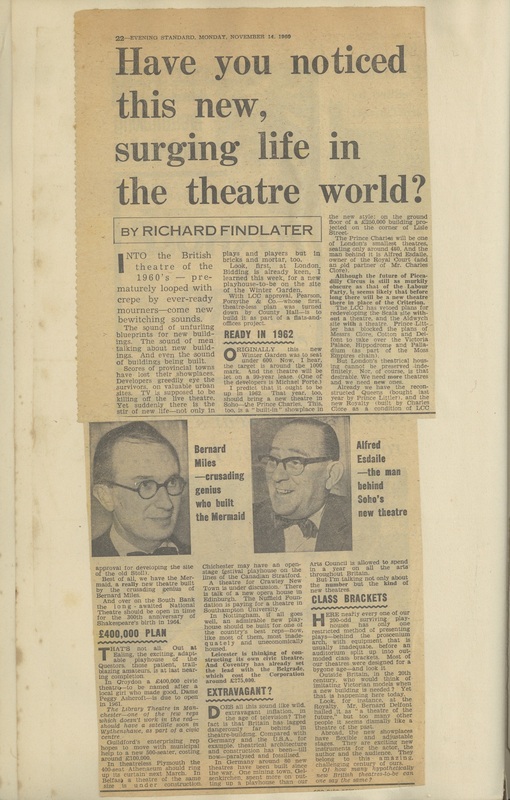 This one particular article caught my eye after going through the latest set of scans our volunteers have been collecting from a series of scrapbooks kept by Chichester Festival Theatre founder, Leslie Evershed-Martin. 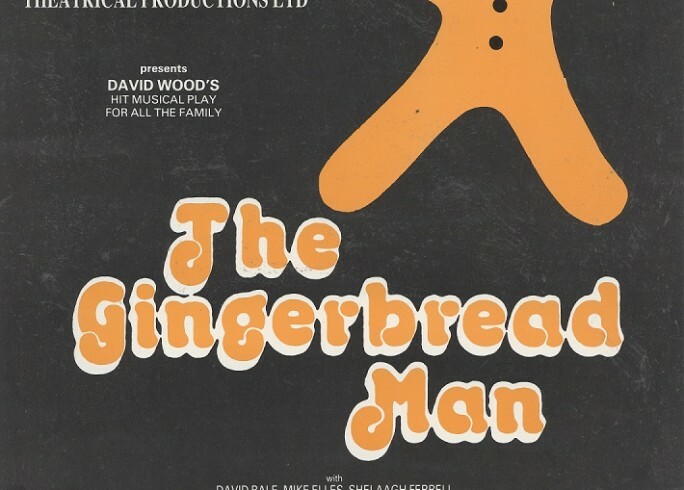 This is part of our digitisation work for the Pass It On project, enabling us to discover and unearth such articles to really help us understand the era and setting of when the Festival Theatre was founded.